The state of Arkansas is known by two monikers. It was previously called as The Bear State but as time passed by, it moved on to be called as The Natural State. It was called as the latter as the state continues to preserve and maintain its natural beauty. What results is a place that tourists can’t help visit all year-round. Of all the national parks, cities, and counties in Arkansas, one city that is always worth the visit is Hot Springs. Hot Springs, Arkansas serves as the county seat of Garland County. Located in the Ouachita Mountains along the US Interior Highlands, the city acquired its name because it has several natural hot springs in its vicinity. 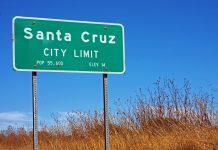 The city is rather small considering it has a population of roughly 36,000 as of this decade but that doesn’t mean the city isn’t rich in culture and fun. 2 What is the time zone in Hot Springs, Arkansas? 3 What is the weather in Hot Springs, Arkansas? 4 When is the best month to visit Hot Springs, Arkansas? The city of Hot Springs is deep in culture and history. According to historians, the place was mainly frequented by Native American tribes who bask in the healing properties of the natural thermal springs. Even way back when, the place’s hot springs were very popular among locals and visitors. 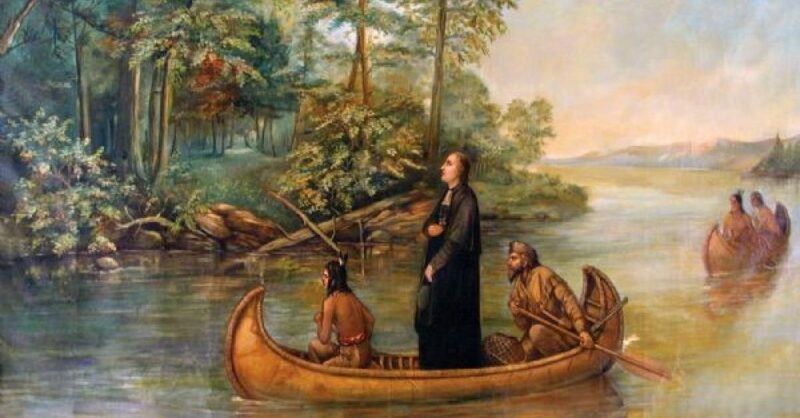 The city was later on claimed by France under the discovery of Father Marquette and Jolliet in 1673. The title to the area was given to Spain after the 1763 Treaty of Paris. Spain regained control of the area up until 1803 when it was returned to France because of the Louisiana Purchase. 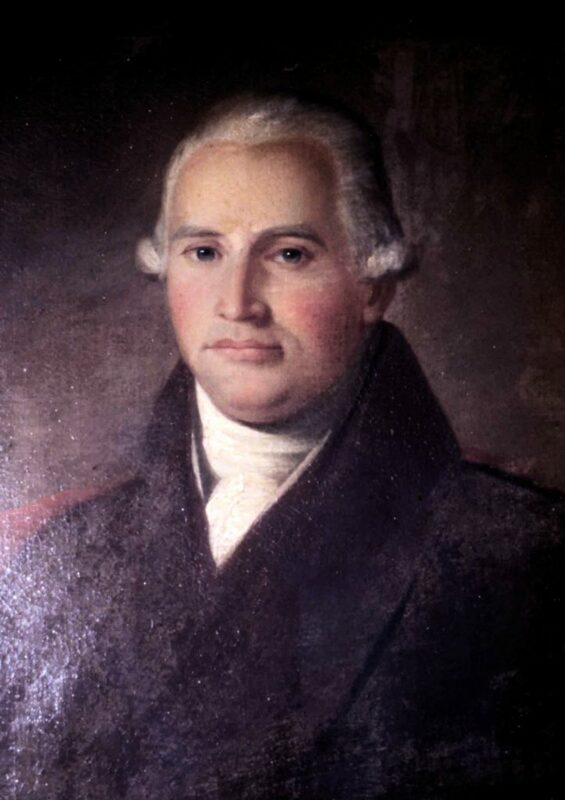 The earliest settlers in the city under recorded history were Dr. George Hunter and William Dunbar. The duo found a lone log cabin in the area as well as a few shelters which were most likely used by the Native Americans. The following settlers included a man named Prudhomme, John Perciful and Isaac Cates. In 1819, Arkansas became its own territory under the Arkansas Territorial Legislature. The mountains and the springs in the area were suggested to be set aside as a federal reservation. Then in 1832, the Hot Springs Reservation was created by the US Congress which further added federal protection for the natural springs. That reservation was named as Springs National Park in 1921. In the modern era, Hot Springs became one of the top tourist attractions in Arkansas. Thanks to the efforts of the local government and countless individuals, the natural beauty of the Hot Springs National Park was well-preserved over the centuries. The city was also dubbed as one of the friendliest places for entrepreneurs to be in as the business costs were relatively low and the growth potential was high. Hot Springs, Arkansas is definitely one of the best places to visit not only in Arkansas but in the entire US. It is the perfect destination for those that want to try out the natural healing factors of the springs in the area. Before diving into the assortment of things to do in Hot Springs, it is first advisable to learn a few key things about the area to make the trip well worth it. What is the time zone in Hot Springs, Arkansas? The time in Hot Springs, Arkansas is situated at the Central Standard Time, roughly 6 hours behind the Greenwich Median Time. Since Hot Springs is a quaint little city, it would be best to explore the area around day time where people and travelers are out and about. That being said, flights that land on the city at around nighttime is perfect as people can rest up for the next morning. The nighttime will also be the perfect time to experience the wonders of the natural springs the city has to offer. What is the weather in Hot Springs, Arkansas? Hot Springs’ climate is varied greatly. 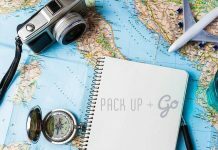 It is often hard to plan out trips as temperatures can change drastically. The summer in the city can get too hot, while winter is can get too cold. However, it is easy to find the fine line between warmth and cold in Hot Springs and here are some of the months worth visiting. The warmest months in Hot Springs are June, July, and August. If tourists are visiting the area for the hot springs, then it might not be wise to visit the city during these months. August is where highs are regularly around 96.4°F (35.8°C) with temperatures rarely dropping below 73.9°F (23.3°C) at night. Of course, the best time to visit the hot springs in the city is from the months of November up to early January. Since winter in the area can get cool, taking a dip in the hot springs offer more relaxation. If tourists are interested in other activities in Hot Springs, then spring and fall are the most comfortable times to visit. Although rain is possible during these seasons, the weather will be perfect to enjoy most of the assortment of things to do in Hot Springs. When is the best month to visit Hot Springs, Arkansas? Tourists stand by October as the best month to visit Hot Springs, Arkansas. The weather during the season is perfect meaning it is not too warm but it is just cool enough to make the hot springs more comfortable. Aside from this, there will be less people in the area as school is on during these times. As for deals, hotels have discounts and promos during the month of October as they try to attract the few travelers the visit the area. October also has a few key events worth experiencing. Families could visit the Magic Screams attraction at the Magic Springs theme park. This once a year attraction is set to bring in scares for thrill-seeking kids. The month is also a part of the Historic Hot Springs Farmer’s Market during which people can buy fresh local goods at fairly reasonable prices. Hot Springs, Arkansas has more than just naturally hot springs to relax in. The city has a ton of other attractions worth knowing and its Magic Springs is one of them. There are a lot of amusement parks that mostly focus on offering thrilling rides. While it’s a really fun and exciting experience to keep your heart pumping as rides can send you flying with up to 240 kph speed like the Ferrari World’s Formula Rossa, in the United Arab Emirates, the Magic Springs at Arkansas is still a lot different. 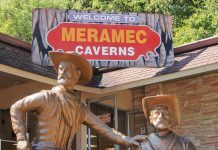 This is because while it also has thrilling rides to offer, it has other exciting attractions that will make your trip to Arkansas very much different from other places as well. 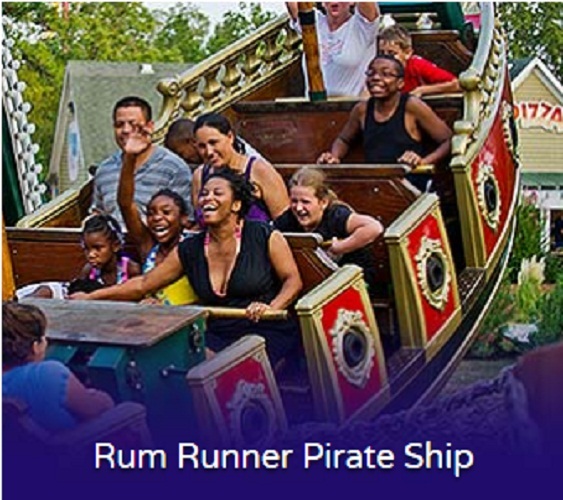 It has the perfect combination of various attractions that people of all ages will surely enjoy. 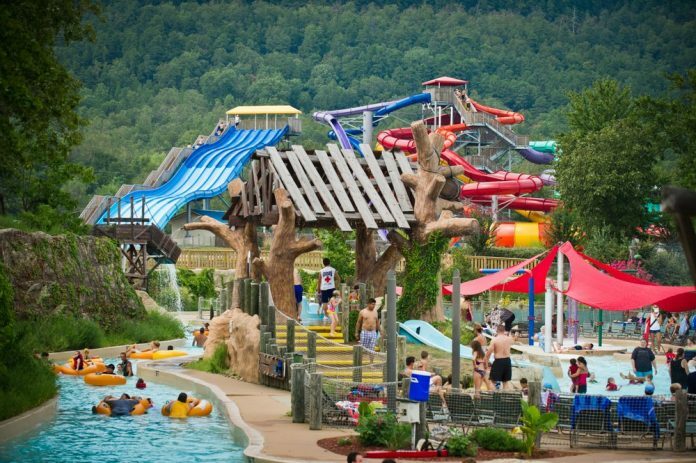 In case you’re wondering or if you’re already up for a trip to Arkansas and wondering where you should go, here are some of the things to do at Magic Springs at Arkansas that we are sure will make you come back again and again. Watching concerts is nice. But going to theme parks is fun too. Of course, you can’t divide your body into two to do both. But Magic Springs has make things easier for you. Here, you can do both at the same day without traveling far from one place to attend a concert to another place to bond with your friends or family. Again, most amusement parks focus on creating unique extreme rides. Yes, it’s fun and it will fill you with a lot of adrenaline rush but have you experienced watching a concert at an amusement park? It’s definitely one of the best things to do at Magic Springs. 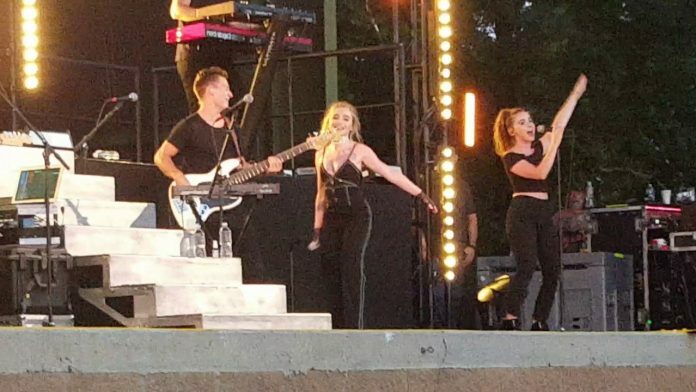 This is because unlike other theme parks, Magic springs offer more exciting concert series. This coming 2019, for instance, you might want to plan your trip already as Magic Springs is about to excite you with their Summer concert series which you can enjoy for FREE all summer long. With a season pass that’s worth less than $65, you can have access to the theme park plus get to see some of the top artists across several different genres’ performing their hearts out live. This May, Marshall Tucker Band and Kentucky Headhunters are set to perform. On the first day of June, you can get to see the Skid Row, Stryper, and KIX perform. For the month of July, Roots and Boots 90’s Electric Throwdown and For King and Country band are scheduled. Eli Young Band is also expected to perform on August and so much more so be sure to keep an eye out. Who knows, your favorite band will perform too so you might want to plot your list of things to fo at Magic Springs as early as now. Almost all of theme parks often cater to those who love to ride extreme rides and children. It’s quite hard to find a theme park that also has thrilling attractions that can literally send chills down to your spine. Fortunately, Magic Springs has it all. It has attractions that are perfect for families who have kids but it also has attractions that are perfect for friends who are looking for a different chilling experience. 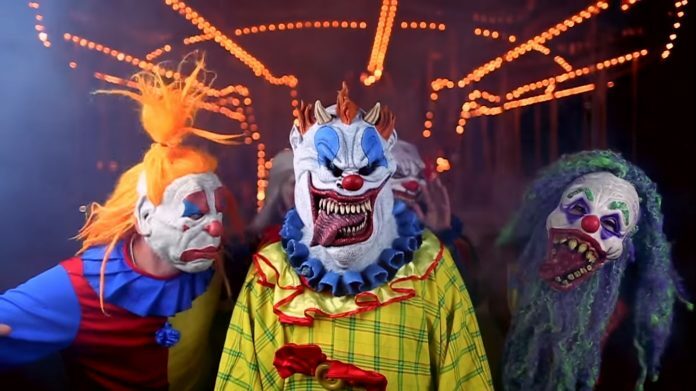 Magic Springs theme park isn’t just about rides that will keep your heart pumping but they also have haunted attractions that will thrill and make you scream at the top of your lungs. It can be quite scary but it sure is a fun experience that you probably won’t experience in other theme parks. This is because they have 92 acres of chilling but fun attractions dedicated to scare you to death. One of their most-loved haunted attractions is the CarnEvil #9 where you’ll enter a house filled with clowns. Many people also love their zombie haunted house attraction where you’ll be scared by, needless to say, zombies. These attractions are so unnerving that one of it was even featured on KARK 4 News. 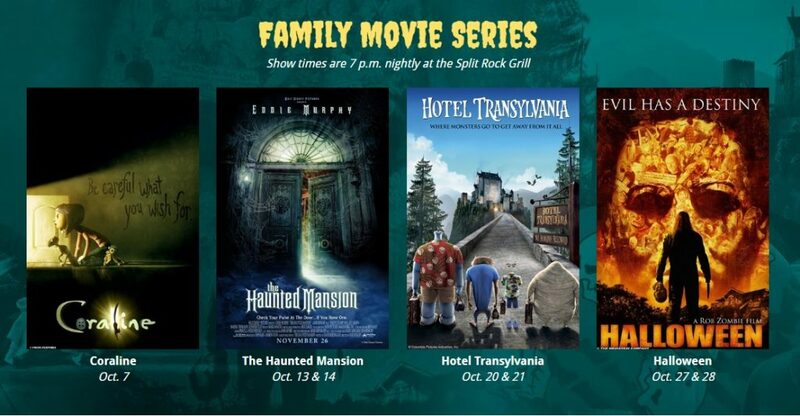 The best part of visiting Magic Springs’ haunted attractions is that they cater to all ages. In fact, they even have a seperate haunted house for kids. You’re not the only one who’ll enjoy your trip to these haunted attractions but your kids too. How cool is that? These haunted attractions will scare you out of your wits so it’s definitely something that you need to try and add on your list of things to do in Magic Springs. It’s a unique attraction that you won’t easily find in most theme parks. However, note that these attractions as well as, of course, the movies are seasonal. Since it’s already Christmas season, Magic Springs’ haunted attractions are temporarily unavailable. So you might want to try your luck next Halloween for some good scare. It’s fine, though, as you’ll have plenty more time to plan your trip. It’s always fun at Magic Springs, Arkansas. It’s so fun that you’ll never run out of things to do at Magic Springs. And speaking of “fun,” another thing that will definitely make you come back to this place over and over again is its special events that are always festive and will often let you score some good discounts. For this coming year, here are some of the events that you need to keep an eye out on and who know, maybe you’ll find another thing to add on your list of things to do in Magic Springs as you plan your trip. From April, the theme park is set to re-open again to bring more magic to your trip. However, from Aril to the third week of May, you’ll only get to take a sneak peek of the park on weekends. Hence, might as well take a good look on your calendar first before you visit here. But don’t worry, though as starting from the fourth week of May up to the first week of August, it’s open even on weekdays. There are still more days to come so just be on the lookout for their operating schedule and check out their website. Also happening on the first week of April is the MCDA Cheer and Dance Championships. They have divisions for all-star, school, rec team, and even individuals who want to show their dancing skills. The best part of it is that they have awesome prizes waiting. You might win it or maybe you can witness it as you visit the park on weekends. If you’re interested to join, you might want to see the details here. They are also open on April 19. Good Friday, and on April 21 which is Easter Sunday. It’s going to be a perfect day to bond with your family as they are open on these days. Who knows, you might witness something different yet fun so you might want to pack your bags and head on to the Magic Springs on April 19 and 21. This June 2019, you can also get to see a fireworks display. So better bring your kids along with you to see and experience this unique event. You won’t just be filled with good memories but your eyes will be filled with good sights to see as well. 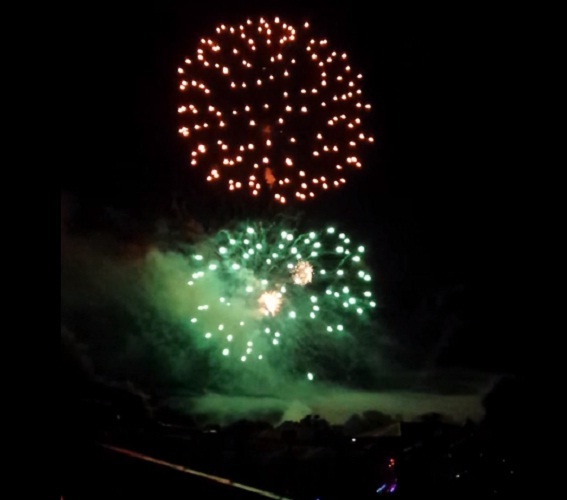 Magic Springs also has appreciation days dedicated to our modern-day heroes and celebrants. During these days, they offer discounts for nurses, firefighters, soldiers, birthday celebrants, etc. Some can even avail free admission. These events are also something to look forward too, especially if you are one of these celebrants. Magic Springs is also known as a water park. Hence, you don’t want to miss adding its water park attractions in your list of things to do in Magic Springs. It has various water attractions that will definitely make your trip to Arkansas memorable. It has five waterslides, a wave pool, and a wave boarding attraction. On top of that, they have a pool area that will keep you relaxed as well if you want to stir away from all the action. However, note that Magic Springs imposes several guidelines and height requirements for every pool that you need to take note of for safety. Again, Magic Springs has so much more to offer than thrilling rides that it is known for. Here, you can also get to enjoy rides that are family-friendly. Meaning, it’s safe even for kids and you can accompany them too. It’s definitely a nice place to bond with your family. 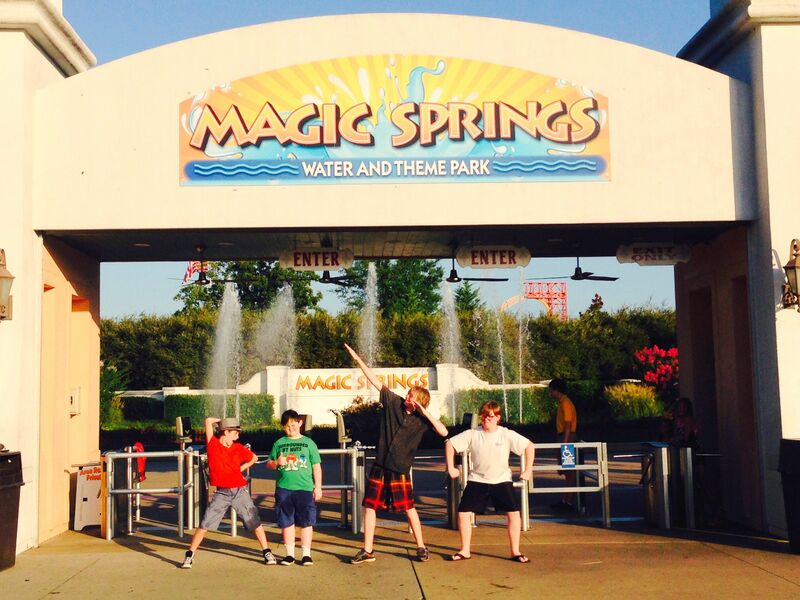 There are still so many things to do at Magic Springs, Arkansas. There are so many attractions that it’s quite impossible to finish trying them all in one day. That said, we advise that you should plan your trip well ahead.